Volterra Dental always appreciates feedback from our valued patients. To date, we’re thrilled to have collected 34 reviews with an average rating of 4.94 out of 5 stars. 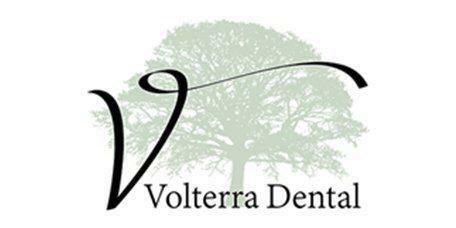 Please read what others are saying about Volterra Dental below, and as always, we would love to collect your feedback. Dr. Laos and his assistants were very gentle and soothing during my very nervous 7-year-old’s first filling. She barely felt a thing! Thank you! The entire staff is so kind to my 91 year old dad. They make him feel important and he loves coming to your office. Thank you!!! Best people I’ve had the pleasure of meeting in what can be a stressful situation. Dr Laos and his staff are very knowledgeable, efficient and kind. Always a wonderful time coming to the office. Staff is kind, patient and always willing to answer questions. I feel Dr. Laos and his assistants are honest when it comes to diagnosing and front office has always made me feel comfortable with payments. Was having issues with a tooth that was causing some discomfort... They fit me in that day and totally took care of it! So appreciate their total patient care! So professional, great staff, never have had to wait for my appointment. They really make you feel like you’re dental care is important to them; they take pride in their work. I’m beyond pleased with the work I’ve had done here! Kelsey is absolutely the best. She is very thorough and competent in all that she does. She notices changes like my dry mouth and gives appropriate recommendations. The staff is always friendly and accommodating. The work I had done was pain free and I got to listen to music of my choosing during the procedure. Thanks again! The Staff at Dr. Laos office are professional and very friendly. My time spent at Doctor Laos office and in the dental chair was the most enjoyable dental experience I have ever had ; and I have been going to dentist for 10 decades yes, decades. He is caring , gentle and creatively enthusiastic and talented.